Best Epoxy for Paddle Board Kits? If you have never used epoxy resin the subject can be quite intimidating. I will do my best to make it simple and provide you with just enough information to safely complete your board. Two part epoxy compounds are normally supplied in separate Part A & Part B containers. Part A is the epoxy resin and the Part B is the hardener. Epoxy resins are normally clear but even the tinted ones will turn clear as they cure. Epoxy has different viscosities depending on the brand and what mineral fillers have been added to improve performance and lower cost. These fillers sometimes settle to the bottom of the container and must be stirred or warmed to a homogeneous consistency before adding the hardener. The Part A side behaves in a similar fashion to natural honey. It is viscous when warm and can turn to a solid when cold. It is wise to warm the Part A side of epoxy before use. Professionals put the Part a in a microwave to quickly reach their desired temperature. The same result can be achieved with a warm water bath and your spouse will probably agree that this is a better idea. Simply fill a five-gallon bucket with warm water and place the sealed container in the bath while you prep your board. Even epoxy (Part A) that has turned to a solid in the container can be returned to a vicious liquid by warming it. Epoxy resins can cause mild skin irritation and a form of dermatitis upon repeated contact. It is important to limit skin contact with any epoxy resin or hardener. Therefore, it is recommend that you wear rubber gloves & safety glasses when mixing and using the epoxy compounds. Epoxy Resin is a thermosetting resin. An exothermic reaction starts as soon as the two sides are mixed. The greater the quantity you mix the faster is sets. The higher the temperature you warm it the faster is sets. If you glass surfboards everyday then fast setting epoxy warmed in a microwave is the way the professionals do it. For everyone else, slow setting epoxy that has been warmed thoroughly in a water bath is your best bet. The results are the same but you have roughly twice the working time. 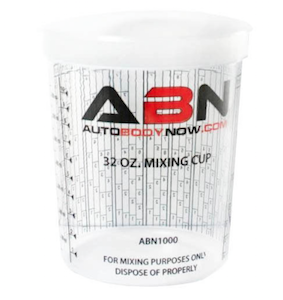 When Part A & B are combined they cure and form into an extremely hard and tough product. They will adhere better and shrink less than polyester resins, have generally greater strength, although they are more costly. Even the epoxies below that advertise UV protection benefit from an extra layer of a Spar Varnish type coating with real UV. You can skip this protection but it will shorten the life of the epoxy. I have narrowed down an overwhelming list of choices to only three. All are 2 parts epoxy to 1 part harder. 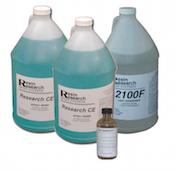 Resin Research Epoxies are specially formulated for building surfboards and paddle boards. The Part A starts out blue but cures to a clear finish and exhibits good UV resistant characteristics. As with most epoxies its properties will greatly improve by post curing. Resin Research epoxy is very thick,requires a special additive (thinner) and definitely requires heating. This is the cheapest choice on my list but still a great epoxy. Post Curing is simply an elevated-temperature exposure to improve the mechanical properties of the epoxy. The easiest way to achieve this as homebuilders is to leave your board is a vehicle sitting in full sun for a few hours. Make sure you remove the vent screw first or the board will over-pressurize. If you are ever stuck on a term, you will probably find your answer in the Glossary on Fiberglass Supply’s website. Entropy Resin shares most of the same physical characteristics of Resin Research. Entropy Super Sap CLR exhibits low color, excellent air release, and UV stabilized technology. Super Sap CLR is optimized for hand lay-up, room temperature processes, or infusion laminating of wood, fibers, glass, carbon, or Kevlar. Entropy Resins heavily markets its use of recycled bio-content and is most likely the greenest choice on the market today. Entropy costs a bit more than Resin Research but less than SilverTip epoxy. SilverTip Laminating Resin is not specifically a surfboard resin but a wooden boat resin. 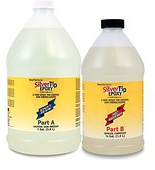 SliverTip is a med-low viscosity, liquid epoxy system that has been optimized for wood-composite boatbuilding. It will outperform any other product in these applications. SilverTip laminating resin is designed for fiberglass on bare wood and has superior wet-out characteristics with little tendency to foam or trap air. Both the resin and hardener are nearly colorless and have the highest starting viscosity of the 3-epoxy choices. SilverTip laminating resin cures to a brilliant blush-free film with either the fast or slow hardener eliminating secondary bonding concerns as experienced with other epoxies. The working time is longer than the other choices without sacrificing cure time. The downsides are that it costs more and isn’t made from 30% plants.